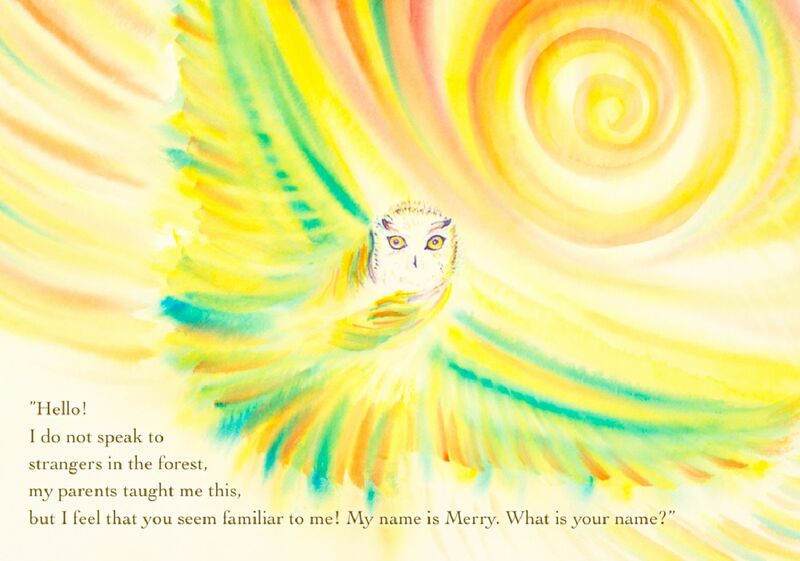 "Adventures of Merry and Messenger"
Hope, Love and Trust is the resonance encoded in the adventures of two young owls Merry and Messenger who meet each other on the important day of the blue moon... to participate in the mystery. 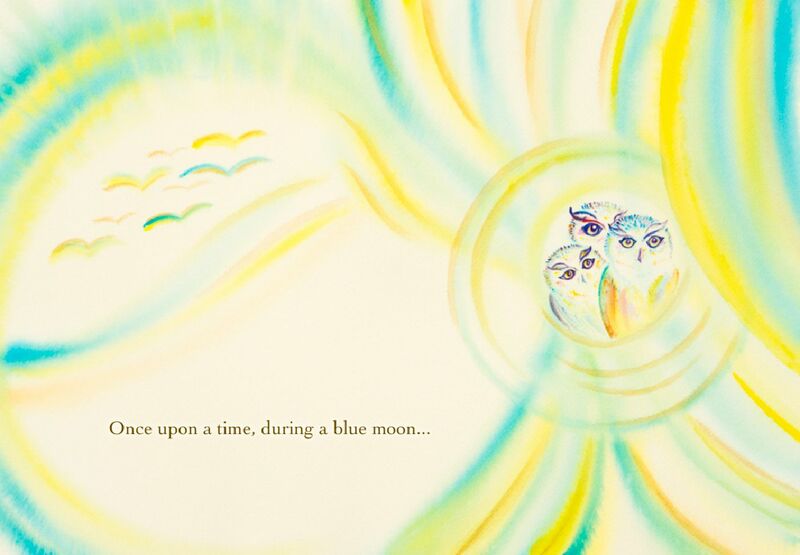 The book tells you the story about dreams that are yearning to become a reality - co-created by mom Evita Kristapsone and her 7 years old daughter Elizabete during the year long journey around the world. 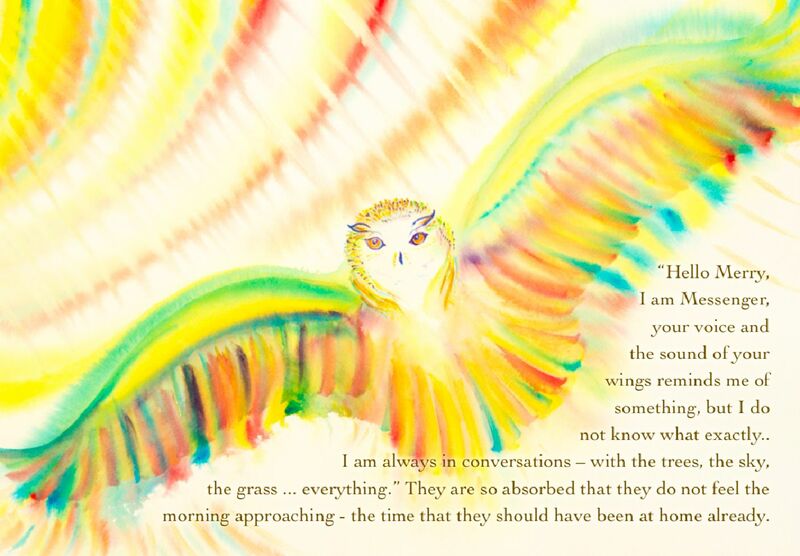 Through your intuition, one can identify page spreads that resonate with the energies of different places, countries and continents. Originally each page spread is painted as diptych, original artwork size for each page is 50 x 35cm. Each painting is the window of soul’s wisdom inviting to dive deeper and experience more, explore and expand feelings and sensations in the world that is usually described “beyond the words”. Adventure for both - parent and child. 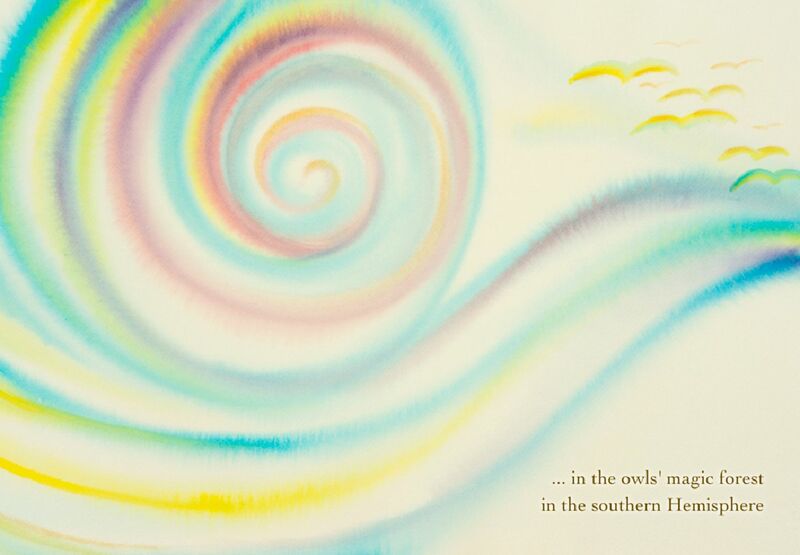 Book is designed for slow reading - one, two spreads at a time for the best experience. You can buy the book for iPad and Mac on iTunes iBookstore. If for some reasons you can't buy book on iTunes Bookstore, please write me a note, will try to find a solution.